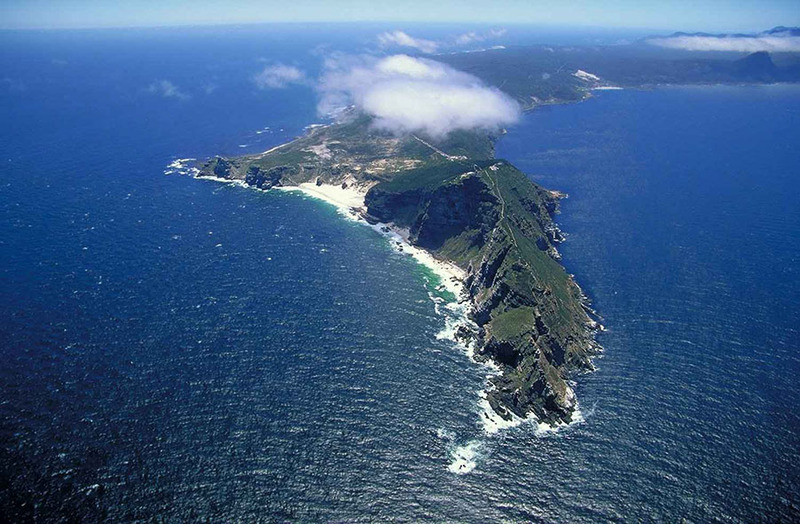 Cape Point is a place of phenomenal natural beauty and historical importance. Forming an important part of the world renowned Table Mountain National Park, here you can relax and enjoy the tranquillity of the World Heritage Site. Going on a Cape Town tour is a wonderful option, as you will be taken to all the best vantage points and places of interest and will be able to enjoy informative commentary enhancing your understanding of each destination. Group tours are fun and an ideal way to bond with your friends and family and to meet new people as well. Nature lovers will revel in the extraordinary floral kingdom which adorns the rugged, rocky peaks. Stand on the edge of the towering cliffs and relish amazing vistas of the churning sea below, as the mighty oceans meet in crashing, frothing waves. The park boasts an incredibly diverse array of Fynbos species and is an ideal location for a stroll in the wilderness. The pristine surroundings shelter an abundance of birds and wildlife, including buck, Cape Mountain Zebra and baboons. Bird enthusiasts must remember to bring binoculars, as over 250 bird species habituate the area. In 1488, the famous, fearless seafarer, Bartholemeu Dias sailed around the Cape and on his return journey he docked at the South Western tip of South Africa and christened the area Cabo Toementoso, meaning the Cape of Storms. This was later changed by Portugal’s King John, who renamed the region ‘Cape of Good Hope’ which it remains today. Vasco da Gama was another renowned explorer to sail via the Cape and together, these voyagers helped to create the Cape sea route. Sailors have long feared and respected the Point as a worthy adversary and over centuries many ships have come short in the dangerous, stormy waves and now lie silently submerged, claimed by the sea. Luckily, the well-known lighthouse was there to guide others to safety. Cape Point’s Lighthouse was constructed in 1911, 87 metres above sea level and today is South Africa’s most powerful lighthouse, reaching a distance of 63 kilometres. It is well worth the short walk, as the views from here are remarkable; stretching over the immense South Atlantic Ocean to the point where it is hard to tell where sea meets sky. This is a place of immense beauty and serenity, where history shines bright and lies littered on the sea floor and where nature lovers will want to stay forever.